As a native of Western South Dakota, I have grown to truly appreciate the values and tenacity of the pioneers who settled our area. Their determination and strength has developed a pride of all Americans that is felt deeply here. Hospitality and kindness remains strong in our community, where you are treated as friend and family. I am proud to call Spearfish "home" and extend a hand to each of you looking relocate here. I have been a realtor since 1998 and have lived in Spearfish since 1987. I continue to enhance my profession with additional education and designations. I am an Accredited Buyer Representative (ABR), Graduate Realtor Institute (GRI), and Seller Representative Specialist (SRS). In order to best serve my clients, continuing education is mandatory to keep up with the latest real estate changes for better buying and selling experiences. As an avid Black Hills State University supporter, myself and our community contribute to the athletic scholarship porgram and booster club. I am a member of the Chamber of Commerce, St. Joseph's Catholic Church, Catholic Daughters and Altar Society, Green and Gold Club, and am an Officer for our MLS. I raised 6 children here, and so I readily contribute to our local school activities and scholarships. Many times you will find me warming a bench at an athletic, music or drama event. Our city offers all of this entertainment through local contributors like the Matthews Opera House theater. There is always something to do! 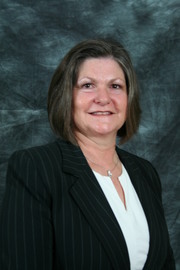 I am available to help you buy or sell your property whenever it is convenient for you. Just give me a call!